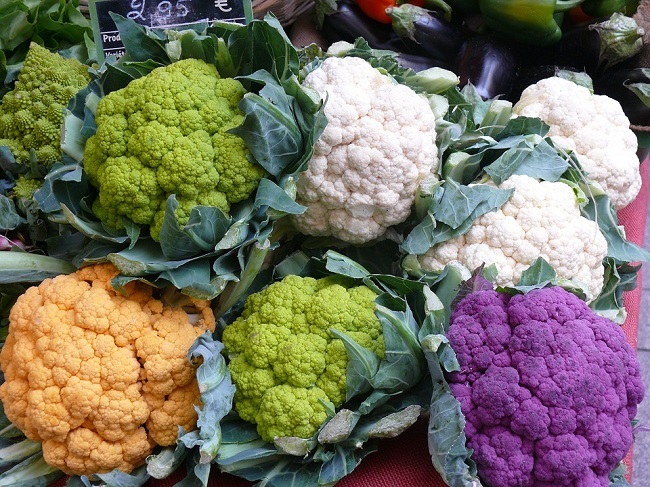 One way to combat nutritional roadblocks is incorporating more vegetables into meals, and one of the best choices is cauliflower. When veterans return to civilian life after serving in the military, maintaining a nutritious lifestyle can be a challenge. With the transition often comes a decline in regimented physical activity, meaning certain foods – like pasta, bread, and other carb-rich items – can become less forgiving on the waistline. One way to combat nutritional roadblocks is incorporating more vegetables into meals, and one of the best choices is cauliflower. While cauliflower does perfectly well as a steamed or oven-roasted standalone side dish, it can also be a clever choice for ingredient substitutions. With one serving containing nearly 80 percent of the recommended daily value of vitamin C – as well as a substantial amount of vitamin K, thiamin, potassium, and more – it is beneficial to explore what this versatile vegetable can do. From a calorie-counting standpoint, white rice is not necessarily a bad decision at roughly 206 calories per cooked cup. The bulk of that calorie count, however, is carbohydrates, which can be problematic for those embracing a low-carb diet. Substituting riced cauliflower in dishes and sides provides a lower-carb option with an extra vitamin boost. Those looking to cut carbs often find potatoes to be a tough give-up. Creative chefs have developed recipes for creamy mashed cauliflower and even cauliflower tots – satisfying enough to quell even the starchiest of cravings. With food sensitivities on the rise, the search has been on for a pizza loophole for those who live gluten-free lifestyles. Cauliflower can be craftily maneuvered into thin, crispy pizza crust. There are even recipes for cauliflower breadsticks, tortillas, and other bready delights – thus proving that gluten-free is not a lifetime sentence of deprivation. A good way for veterans to stay on the track of good health is registering with Wounded Warrior Project® (WWP) for access to Physical Health and Wellness programs that include adaptive sports, nutrition coaching, and recreational activities. To find more resources on WWP’s free health and fitness program offerings, check out the Physical Health and Wellness web page. To learn more about how WWP’s other programs and services are making an impact on the lives of wounded warriors, visit http://newsroom.woundedwarriorproject.org/.